The leading provider of workplace safety solutions, Graphic Products Inc, introduced today the DuraLabel 4000 Label and Sign Printer. With speeds up to three inches per second and also clear 203 dpi resolution, the DuraLabel 4000 label and sign printer can produce 1″ to 4″ width labels and signs for applications like chemical hazards, 5S labeling, electric panels, and more. The DuraLabel 4000 label and sign printer can be equipped with two cutter option choices, which are manual cutter and automatic cutter. Stacy Foos stated that this is one of the more expensive parts of the label printer that facilities will have to select when purchasing. “It may seem simple, but the cutters are really a highly engineered precision cutting tool. A manual cutter gives us the ability to greatly reduce the initial cost of the printer for the customer, yet the option to upgrade to the automatic cutter at any time is available to them,” said Foos. 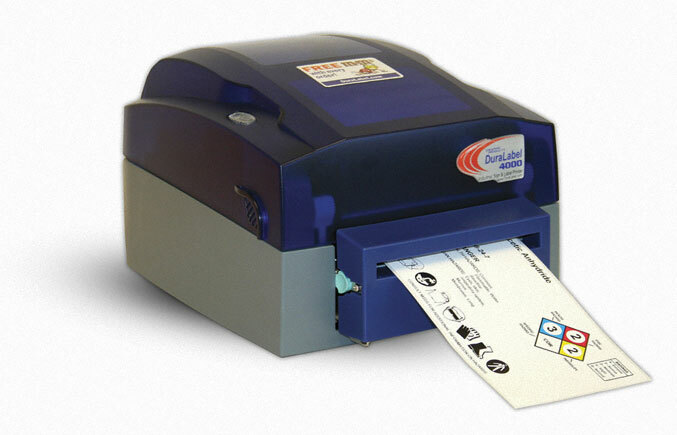 The new DuraLabel 4000 label and sign printer is compatible with Windows 2000, Windows XP, Windows Vista, and Windows 7 operating systems, while utilizing the USB 2.0 interface. It comes bundled with the DuraSuite Labeling Software.